Keyboard Consideration is Still Glossed Over Today. For an explanation, let’s look back to the Baroque era. Its years were approximately 1600 – 1750. Very few composer/keyboardists in the Baroque era were said to have mastered even two types of keyboards! Most often, if they played the organ, they were deficient in the harpsichord. In reverse, if they could play the harpsichord, they were deficient in organ. This is the point of this blog: If two types of keyboards were confusing, even for geniuses; today we literally have hundreds of types. This of course takes into consideration the electronic wizardry which seems to multiply daily. 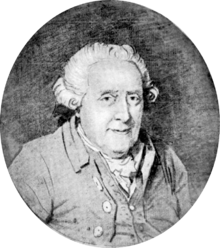 Wilhelm Friedemann Bach was a master of both harpsichord and organ. He, and his father, were two of the few. Mischa studied in Paris and Vienna in the 1920’s. He worked with Alfred Cortôt in Paris and Emil von Sauer in Vienna. He told me right from the beginning, do not play the organ if you study piano. Seeing what Forkel just had to say about two different keyboard instruments, I think he was absolutely correct! Please share with friends that might be interested.